Now, the weather is getting better (i say whilst we are currently having a rather heavy shower!) it’s a great time to be spending more time in the garden. After the long, cold, dark Winter my kids were keen to get out and back on the trampoline which had had a good jet wash down a couple of weeks ago. Not only that, my daughter loves to do a bit of weeding, planting and pruning. It can be easy to find and engage children in small gardening jobs. From planting seeds and keeping them watered to doing a little pruning (depending on their age) it will improve their science knowledge and their motor skills. You don’t need a lot of space either. From the smallest window garden to their own little spot in the garden, anything goes! I love this dedicated play garden featured on The Imagination Tree’s website. You can view the details here. 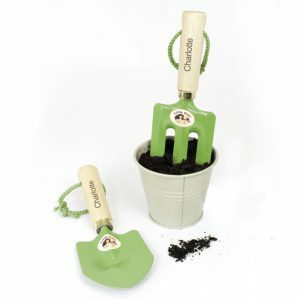 If you know a child who loves a bit of gardening, our Personalised Children’s Gardening Sets make a lovely gift for an upcoming birthday or special treat. 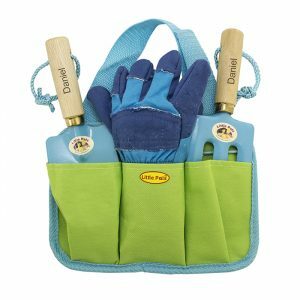 Consisting of a fork, trowel, gloves and a lovely pouch to keep it all in, these Gardening Gifts for Children can be personalised with a name of up to 12 characters. Available in Pink or Blue and dispatched within 3 working days. We can even send them directly to the recipient gift wrapped too! I’ve created a Pinterest Board with lots of lovely Gardening Ideas for Children for things to do in the garden with Children. From outdoor chalkboards, to egg box planters there’s something for all types of gardens – big or small! 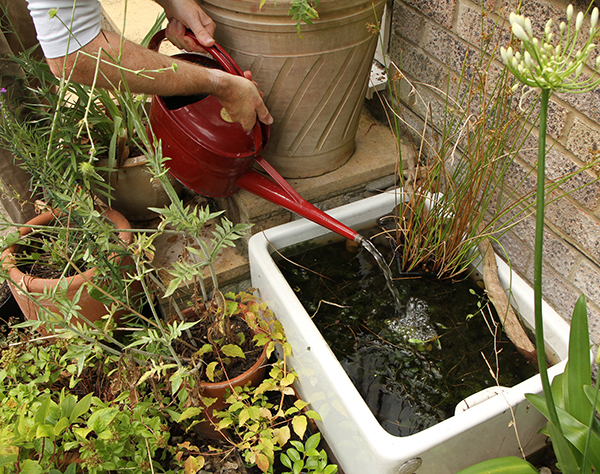 I love the RSPB mini pond idea!